Gangtok is a hill station of Sub Himalayan Region and capital of Sikkim. The scenic beauty of this highland along with very cool environment attracts innumerable visitors to this place. Below, there are details of itinerary for a charming Kolkata – Gangtok tour package, organized by Indian Railway Catering & Tourism Corporation (IRCTC) for 5 nights and 6 days. 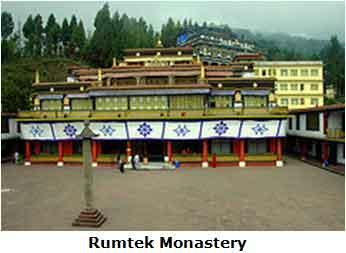 Avail this opportunity for your comfortable sightseeing in and around Gangtok City. The tour starts from Sealdah Railway Station. The total number of breaths available in the train from Kolkata to NJP is eight 3AC for the package. From New Jalpaiguri , the journey starts on road to Gangtok which 130 km away from it and about 4 hours Journey. The duration of the tour package is 6 nights and 5 days. Day 1 Start your journey fro Sealdah Railway station (Kolkata) by Darjeeling Mail at 10.00 hours. Day 2. Arrive New Jalpaiguri (NJP) Junction in the morning. You will be welcomed by IRCTC personnel for your onward destination. From NJP, transfer to Gangtok by road. Check into the hotel. Rumtek Monastery – It is also called Dharmachakra centre – a Tibetan Buddhist Monastery, Do Dul Chorten - it is the biggest and most important Stupa in Sikkim which encircled by 108 prayer wheels and built by late Trulsi Rimpoche, Research Institute of Tibetology, Directorate of Handicraft and Handloom and Flower show. Day 4 Make a half day trip to Tsomgo Lake and Baba Harbhajan Singh Memorial. 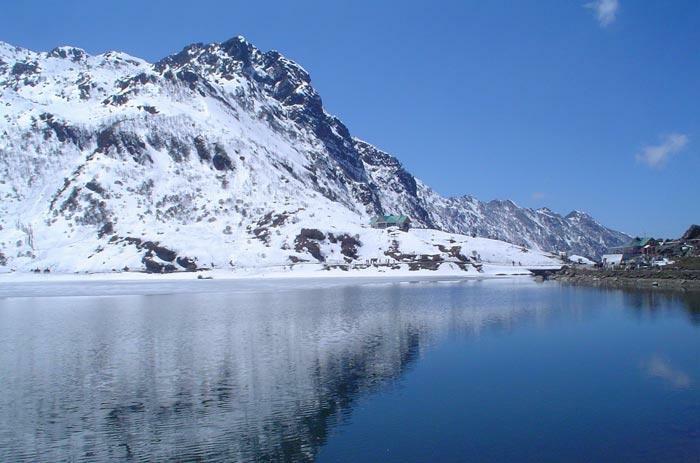 Tsomgo Lake is situated at 40 kilometers away from Gangtok city. It is a glacial Lake at an altitude of 12,400 feet. TheLake freezes completely during the winter and is much revered by the locals. 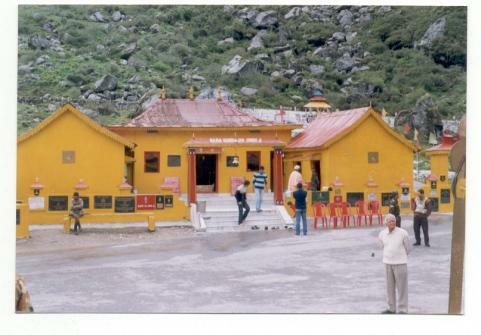 Baba Harbhajan Singh Memorial is a temple situated at about 60 KM away from Gangtok. The temple is in the fond memory of Baba Harbhajan Singh. He is a man from India Army in Nathula border and it is miraculous that he is doing his duty there even after his death 30 years back. Day 5 In the morning prepare fro leaving Gangtok to NJP railway station. Start your journey to NJP and Board on the Train to Sealdah. IRCTC, Indian Railways Catering and Tourism Corporation P Ltd offers many tour packages and Holiday packages to travel in and around India and see various places of interest. There are an interesting array of places to visit and tourist destinations you can travel to in the comfort of the Trains in India. Bharat Tirth Special Tourist Train is one such train and to know more details read through the article.